Posted at: 3/08/2011 06:43:00 PM . This deal will only work if you are able to make decisions for your company's break room supplies. Keurig wants to give you a free three day trial of their office machine. Just for trying it, you will get a $25 pre-paid Mastercard. Since this trial is hoping that your business will purchase a machine, you must be responsible for purchases at work to try this deal. I personally have a Keurig at home and I love it. It makes a perfect cup each time with no clean-up involved. Once you experience the variety, ease and taste Keurig offers, you'll wonder why your office ever made coffee one pot at a time instead of one cup at a time. And the trial is completely free. Why wait? 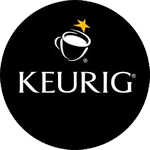 To take advantage of this free trial, simply complete this form, and you will be contacted by a Keurig Authorized Distributor in your area who will provide you with a Keurig Commercial Brewing System along with free samples of our great tasting coffee, tea and hot cocoa to enjoy — with no obligation. Once you set up the free trial, you will receive a *$25 American Express gift card from Keurig as a token of appreciation.